In case you haven't noticed, the friendship bracelet is back. And surprisingly, nothing has really changed about it. From the fashion pictures I've seen, they're the same old bracelets I wore in grade school. So, I decided it might me nice to make an oversized version of the bracelet. 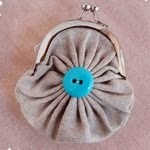 Instead of using the the traditional material of embroidery thread I used cotton yarn. 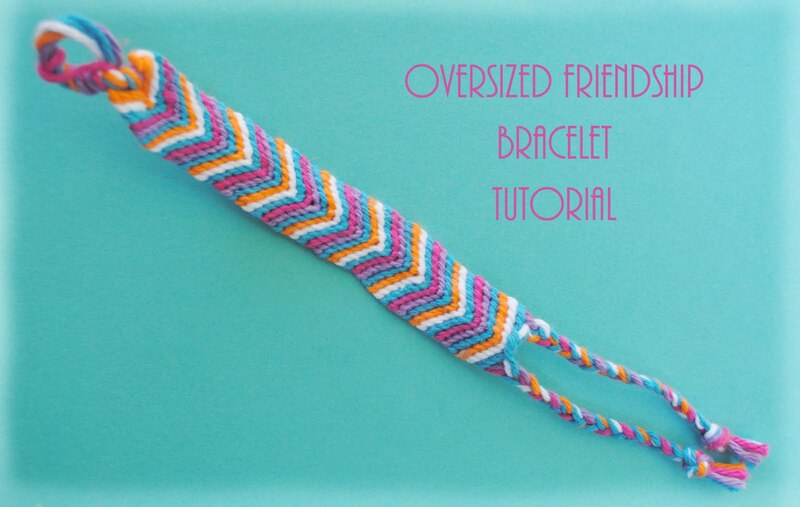 The yarn gives the bracelet a chunkier look and it also allows you to make them much quicker. And may I add, it's a nice little stash busting project. 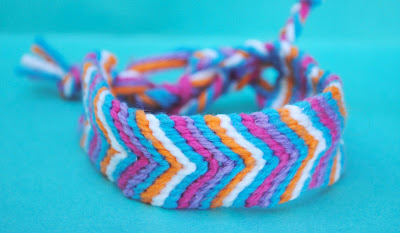 The method I'm using to make the bracelets is the exact same way I used to make them in the 5th grade. My instructions are slightly different than some of the tutorials you might have seen online. 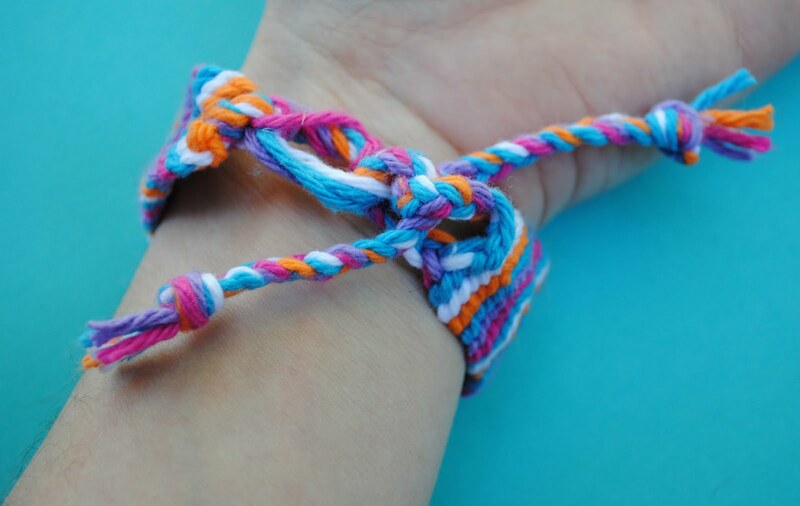 There are really many ways to make the bracelets. It's really all about preference and personal style. 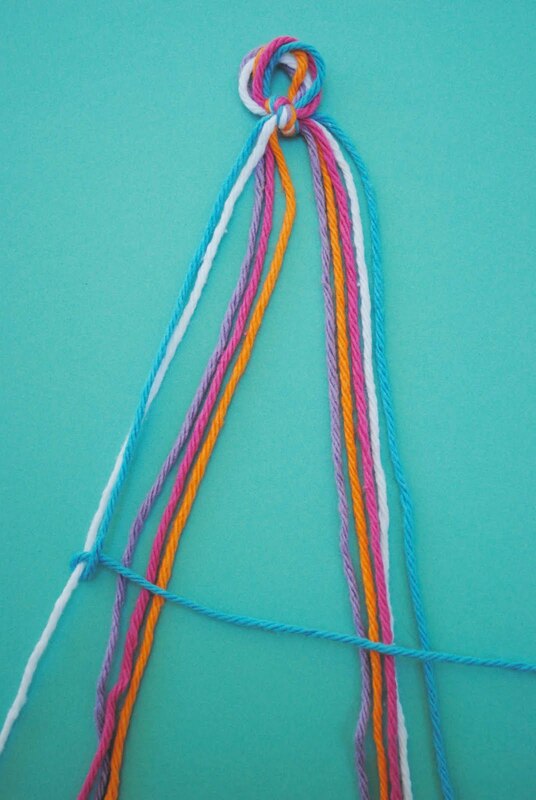 To get the correct length of string for you wrist, wrap the yarn around your wrist loosely three times and then add a couple more inches for good measure. Now take that string and double the length. 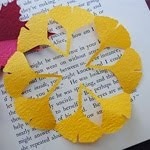 Cut as many pieces as you wish to use. I used 5 in the picture above which yields 10 strands. Line up all of the yarn. 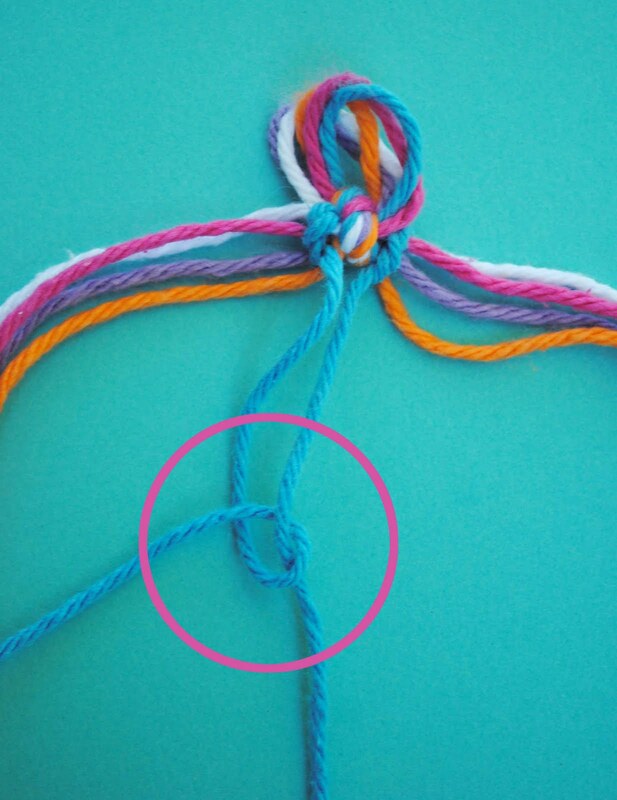 Fold in half and tie a knot in the center to make a loop the circumference of your finger. Refer to picture. Tape loop down or hook it onto something to keep the bracelet from moving while you make it. 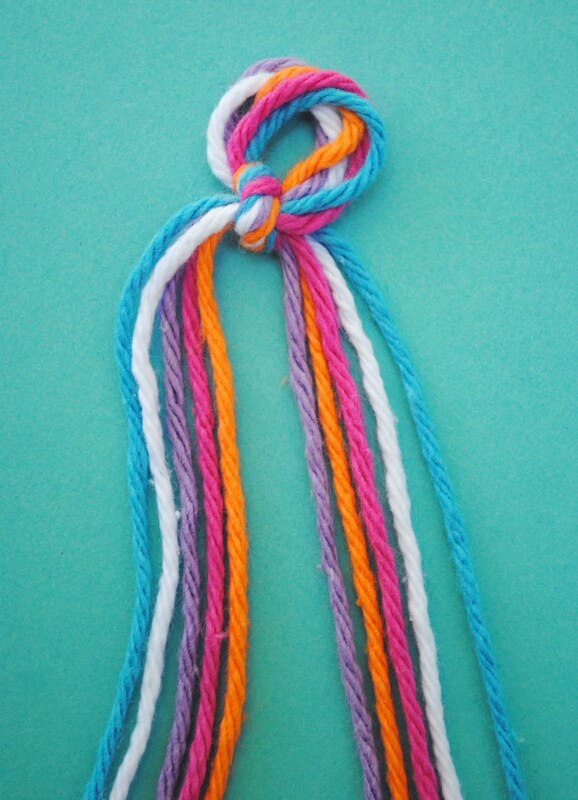 Line up your string in the order you want your stripes to go on the left hand side. On the right hand side mirror the colors. So for this bracelet it should be blue, white, purple, pink, orange, orange, pink, purple, white, blue (it's not lined up in the picture). Starting with the string on the very left, tie a knot around the white string. Refer to picture. Here's a close up of the knot. Now you're going to slide the knot all the way to the loop you made earlier. 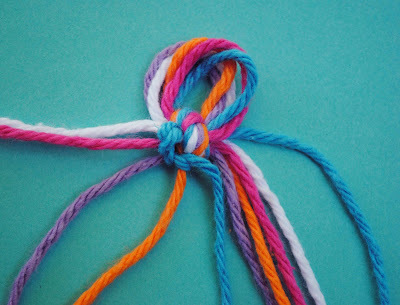 Now repeat this knot on the purple, pink and orange string. It should now look something like the picture above. When you first start the bracelet it always looks a little wonky. The farther along you go, the better the stripes will look. Now you're going to take the string on the very right side and tie a knot on the string next to it. Continue to do this until you get to the center. *Make sure the knot is just like the picture above. Tie both blue strings together and slide to top. 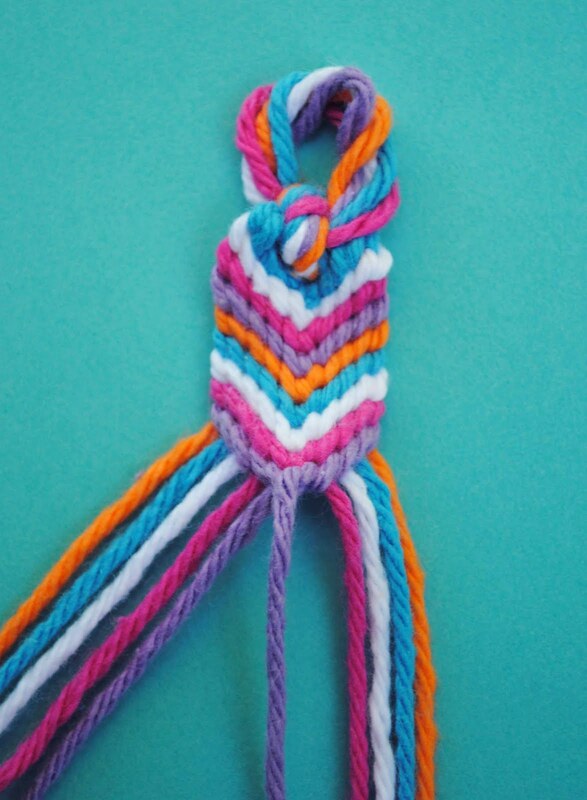 So now once again you will start with the outer left hand side string and proceed to make knots on each piece of yarn until you get to the center. Then take outer right hand side string and tie knots on each string until you get to the center. Tie both pieces in the center together. 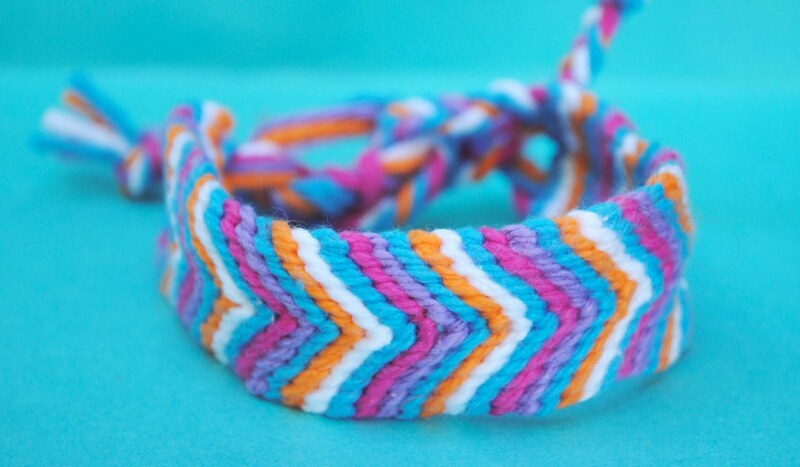 As you continue the pattern your bracelet should start to look like the picture above. 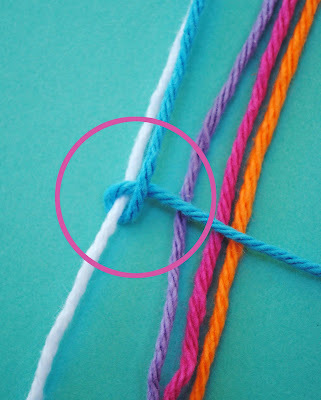 Once you get your bracelet to the desired length, make two braids as shown in the picture above. 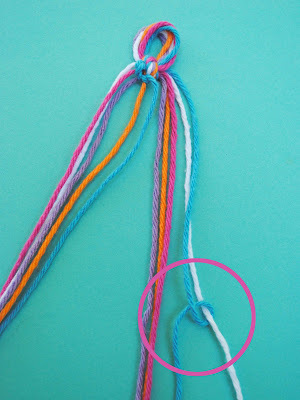 To tie on the bracelet, take one braided string and thread it through the loop and then tie both braided pieces together. 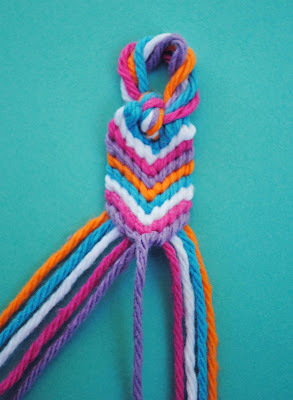 Six pieces of yarn were used for the bracelet above which yielded a inch in width. The more strands of yarn you use, the wider the bracelet will be. If you have any questions about the bracelets, I will try to answer all questions in the comments. sweet color friendship bracelet. How long did it take to make this bracelet? It took me about 2 hours to make the bracelet. I was also watching a movie when I made it so if someone was really focused they might be able to make it in 1-1 1/2 hours. This bracelet is very pretty!!! When I was a junior high school student, I often made this bracelet. It is a very nostalgic memories.It reminds me that memories. I've never made one of these. They're so cute. I think they were after "my time". I could give them a try now, couldn't I? Thanks for the instructions Jessica! 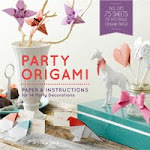 This is such a perfect craft to do with the Girl Scouts! Thanks so much! I always LOVED doing these. I found that a large safety pin and some nice weight denim jeans (not the little thin denim ones!) worked really well to keep everything in place, if I didn't have a clipboard with me. 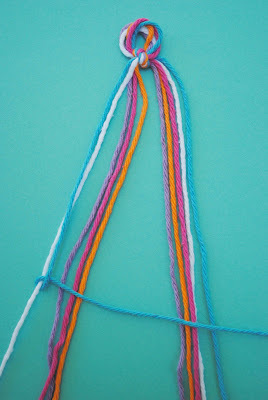 I used to make friendship bracelets a lot when I was young. Even now, they're still fun to make!